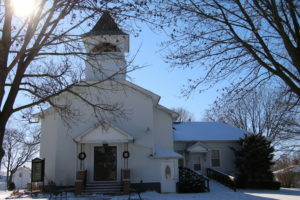 Thank you for your interest in Zion Lutheran Church in North Henderson, Illinois—a small church where there’s always room for you! Visitors are always welcome to join our congregation at our weekly services and bible study. We also welcome inquiries about small weddings in our historic church. Please include either your email address or phone number so we can contact you.